Pterodactyl Squad – Weezer – the 8bit collab! I was originally going to review another album, but it mysteriously disappeared from bandcamp! Thankfully PTE Squad’s collaboration on ‘Weezer’s first album’ was on hand and even more awesome. ‘Pterodactyl Squad’ has been a long time net label supporter of 8bit, with many superb artists releasing so much awesome content, from the likes of ‘Please Lose Battle’ and (T-T)b. Their Weezer compilation is no different boasting a high number of prolific artists. Covered by ‘Please Lose Battle’, it features their classic NES style, whilst keeping the signature Weezer style intact. As soon as that sweet yet sarcastic & bright riff comes in at the start, you know you’re going to be in for a treat. The chorus is also especially good, with bass blasting through to give it some extra power. This comes in even more however during the outro, and not just keeps the same energy as Weezers original, but takes it a step further! God dammit how does ‘Boy Without Batteries’ make a gameboy sound so crazy & energetic, yet managing to play all on one tiny device. PURE WIZARDRY! BWB’s cover on ‘Paperface’, is both melodic but also frighteningly scary, playing some sweets riffs whilst melting every channel on the gameboy. The outro is especially crazy & chaotic, the noodling on the Wavs & Pulse Channels almost screaming out. There’s only a couple of tracks which feature vocals, but the one which stood out the most for me, is ‘Men of Mega’s’ rendition of ‘Surf Wax America’, which seems to keep both the goofy nature of nerd rock & grittiness of the guitars at fantastic level. You can immediately feel the energy radiating as soon the track begins, the WAV Channel perfectly simulating the gritty feel. 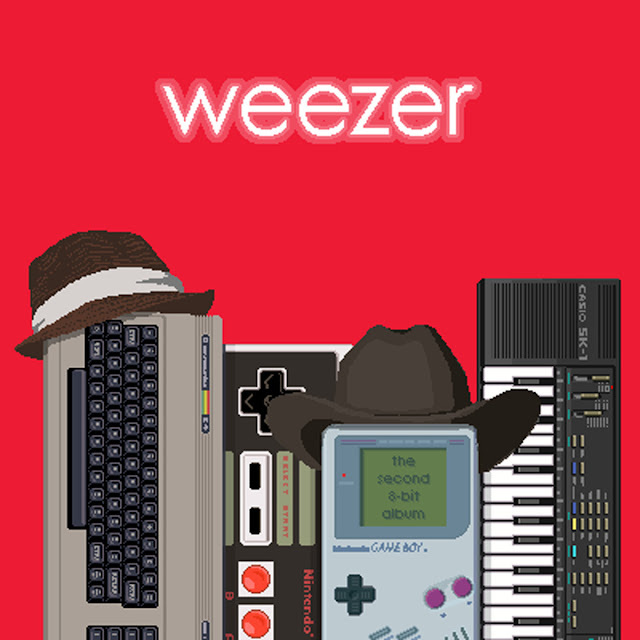 Although the electronic mix of the chiptune makes the track sound more like Rave, the vocals keep it anchored to Weezer’s style is, whilst never letting the music control the show. I could go on talking about the rest of the tracks on this compilation, but that would be one long review. Needless to say you should definitely check them all out as each one is unique, bringing both the artists & weezer’s styles together as one.